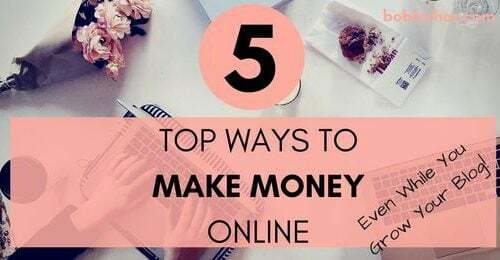 You’ve decided to work from home, need extra cash, and love the online world. If you enjoy being organized and helpful you could have a great career as a Virtual Assistant. If you choose to become a virtual assistant it is important to know what kinds of jobs are available for Virtual Assistants. 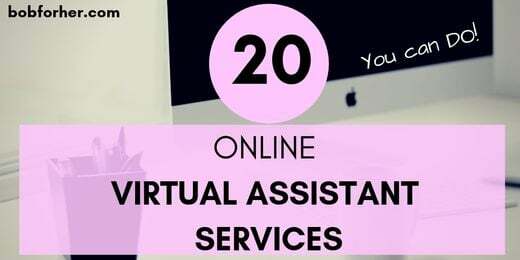 Here are 20 online Virtual Assistant Services that you can do. Offering one or more of these services will help you gain clients and then grow your business. See if you have any experience in these fields below or find a few you are interested in. Become Virtual Assistant is easier than you think. In fact, you can start in less than 30 days. You can read here how I was started: 30 Days Or Less To Work As Virtual Assistant. There are only so many hours in the day. Bloggers may have a list of topics they want to cover but don’t have the time to write all the blogs themselves. This is a really hot and in-demand job for Virtual Assistants. If you know about the topics the blogger covers or don’t care to spend time researching, then you can make serious money! After bloggers write their post its important that they are edited and revised. Just like any work of writing its important for their finished post be coherent, ready friendly, and error-free as much as possible. A set of fresh eyes is important for the editing process. Many Bloggers use a VA to help with editing their blog posts. If you have great grammar and like to read, this would be a perfect job for you. Some clients don’t have the time or patience to upload content to their blog. If you know your way around WordPress and can upload content and then format it to the bloggers’ standards you can really earn money. Remember when you set a price that this is a time-consuming task and adjust your prices accordingly. Virtual assistants are often used to do regular commenting. The virtual assistant goes to different sites, reads articles and then posts comments. This can be daily work for a Virtual Assistant. This doesn’t need experience, you just read, then comment productively. Moving up in search ranking is very important for websites, and blog sites are no different. If you can use keyword tools like this one, then you can find plenty of work as VA for a busy blogger. Because a blog isn’t just writing, but an ever-changing website, sometimes it must be updated. Bloggers don’t want their site to become outdated, a great VA can manage updates to the site, and also provide corrective details like adding new photos, improving the look of the menus or footers. If you have email marketing experience then bloggers may hire you to keep their list up to date and create email series (sometimes called campaigns) for their blog. This can require a certain skill set, so if you’ve taken copywriting classes then this may be a great fit for you as a VA.
Popular bloggers get tons of emails and sometimes they don’t have time to respond to of the emails appropriately. Virtual Assistants can write replies for the bloggers. The emails normally consist of inquiries or even pitches related their blog site. If you love emails and email organization this is a perfect Virtual Assistant Job for you! There are a lot of popular social media networks and bloggers need to be on all of them. This can be a lot of work, really it is a job of its own. A virtual assistant can be a great social media manager, managing the posts and media. This can include scheduling, interaction with fans and a variety of other tasks. If you have a social media platform you love, then you can earn money doing what you normally do for free. Blog posts are more than just writing. Photography is also important. In fact, the difference between a blog being popular and a blog failing can come down to the Photos on the site. If you have experience with photo editing Apps like Canva or PicMonkey then you can market your photo editing as one of your specialties in your Virtual Assistant Career. This is a very popular task assigned to VAs. There are many types of researchers that a Virtual Assistant may be assigned to do, from affiliate research (finding items to market in a post, to research on the posts, and really any type of subject the blogger can think of! If you enjoy digging deeper into certain subjects this may be a great Virtual Assistant niche for you to pursue. 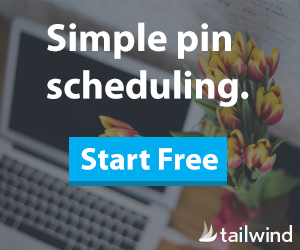 One way that bloggers earn money is through posts that are sponsored. Basically, a blogger builds a target audience and then makes a pitch to a company to write about their product. Virtual Assistants help to pitch these ideas to companies, you may also do any follow up along with the initial pitch. Everyone loves a giveaway or contest. Blogs can gain new followers and boost their traffic with giveaways. Bloggers often look for a Virtual Assistant with experience in running giveaways. Your job would be to do things like putting the giveaways in different online directories, sometimes by joining certain social media groups and sharing it that way. When bloggers use other forms of media like video or audio they may want the video or audio transcribed for their blogs. You would simply just have to listen to the recording and then type them up, to be used in the blogs. Editing videos take a certain skill set that many people don’t have, if you can edit video and have the time to do so, then as a Virtual Assistant you will have plenty of work. There are many people that are now self-employed. If you are a bookkeeper you can fill a vital role by helping bloggers track their expenses and income for taxes. Some people, of course, use free online tools, but other self-employed people prefer professionals to handle the finical side of their business. 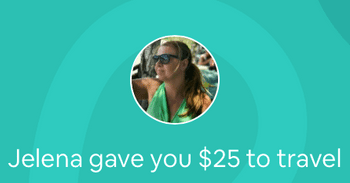 If you have a good head with money and can use bookkeeping software this is a really good way to earn money. This job is for those who prefer an organization. The VA schedules socials media postings, blog titles, and task details into a spreadsheet. The spreadsheet helps the blogger keep or improve their productivity. If you are skilled in time management this is a task you would want as a Virtual Assistant. If a blogger has their own products, like the ebooks mentioned earlier in this article you may be asked to provide customer support for their products. This customer support could be through chat, answering emails, or sending bonus materials out to the customers. No matter your skill set or the task that gave it to you, it’s essential to have good communication skills. In order to be a Virtual Assistant, you must know what your client needs and then have the ability to finish the task, keeping in touch with your client along the way. If issues appear you will need to be capable to communicate those concerns professionally with your client. Now, you’re probably wondering where you will find clients for your Virtual Assistant business. There are several ways to go about it. 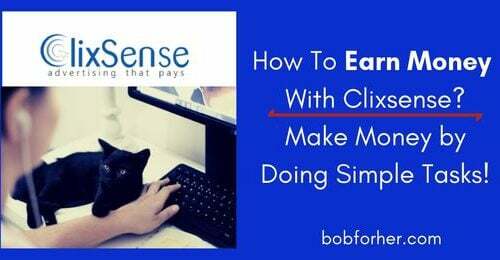 First, If you decide to start with “30 Days Or Less To Work As Virtual Assistant” course, you will learn exactly where and how to source VA clients. Second, you can reach local company owners. Print up amazing business cards and give them to local businesses while reaching out to make them know what you can offer them. You can present yourself in person, or by email or their social accounts. One thing that is attractive to business owners in hiring you is that as a contracted freelancer, they are not obligated to provide insurance or other bonuses. But, the problem is that numerous businesses have probably never thought to hire a virtual assistant and by reaching out to them, you are giving them something to consider on. The third way to get Virtual Assistant job is within online platforms such as Upwork or Freelancer. Tailor your profile on those sites to show the skills and type of work you can submit. You’ll need to apply to many jobs until you start getting it. It’s also possible that a client will like your work so much that it can extend into full-time work from home. The advantage of this would be no more searching for virtual assistant tasks and your income would become more reliable. Both methods mentioned can be very prosperous at landing you some excellent work-from-home virtual assistant opportunities. 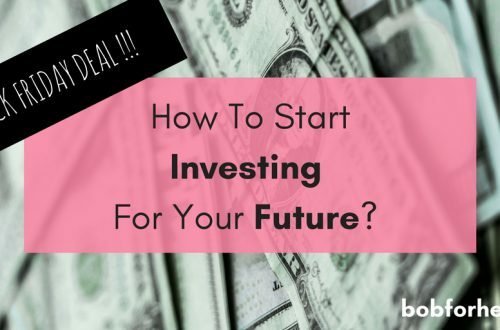 If you are really skillful chances are you’ll be saddled with further offers than you can handle and you’ll then be in the state to choose more profitable opportunities. You can do some things to separate yourself from others and be one of the VA’s that can charge a premium price. Do you speak more languages? Or, you`re a native English speaker? Are you skilled with particular programs? You can write down all the things you can offer to your clients. That way, it’ll be clearer for you to determine your niche. And if you can make a title for yourself in a particular niche, you can charge higher premiums. Some jobs, like data entry, will earn you about $10 an hour, but if you can become highly specialized in specific areas, $100 an hour is a probability. Overall, $15 to $35 an hour looks to be the rate once you are authorized in a specific area of expertise. Creating your own site can help you to charge top dollar if you have the skills to support it. If you have a well set up website, people can discover you and your services as a virtual assistant. It also presents you appear more relevant and provides you a professional presence in your area. You’ll have advantages while showcasing what you can offer to possible clients. List all of your experiences and services and show samples of your work. 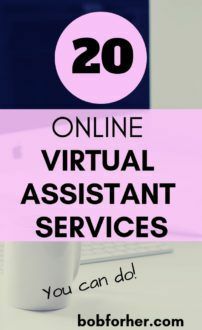 Now that I’ve told you how simple it would be to put your skills to use as a virtual assistant, it’s time to choose how you can make it all happen. You certainly can make money as a virtual assistant. One of the best job possibilities is working online. Anyone can start an online business despite age, race, education, or background. The thing that values most is that you are motivated and determined. 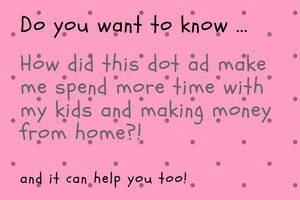 Even total newbies can make money by starting a simple site and putting some advertising on it. I’ve been working online since 2013. You can learn how to do what I do in just several weeks, and making a full-time income of over $6,000 per month is definitely doable with regular effort! There is so much great information here! Especially someone who is just starting and looking into becoming or getting a virtual assistant. I’ll be sure to pass this along. Thanks for sharing! Thank you for this list! I need to add more skills and try to be a Virtual Assistant soon! You can offer any of those skills and start a Virtual Assistant business. You don`t need to know all of it. I’ve recently started doing transcription and really enjoy it. It’s so nice to be able to offer all these services to someone who is seeking to be more productive and outsource their work. Wow, I didn’t know VA can do so much. I thought they are just helping with commenting and replying emails. Guess I was wrong, they offer a wide range of service. Thanks for showing me the insight of the VA service. Lots of fabulous info here and honestly I may try and take on some VA work as additional income. I am great at researching and love writing posts, editing photos even doing the group threads with other bloggers… this is fabulous info. Thank you! It seems that you could earn some nice money with your knowledge. I`m sure that you will be a great Virtual Assistant, Melissa! I could use these services for sure! I spend so much time on my blog and it would be nice to free up some time. I am always struggling to balance work and family life. Wow! This is a great list of ways a VA can assist a blogger. I didnt know that they will make comments and improve photos for you. Oh, of course. It depends on what you agree with the virtual assistant and of course the price you are willing to pay.